Flannel Friday: Holy Moly, There’s An App For That! Check it out! 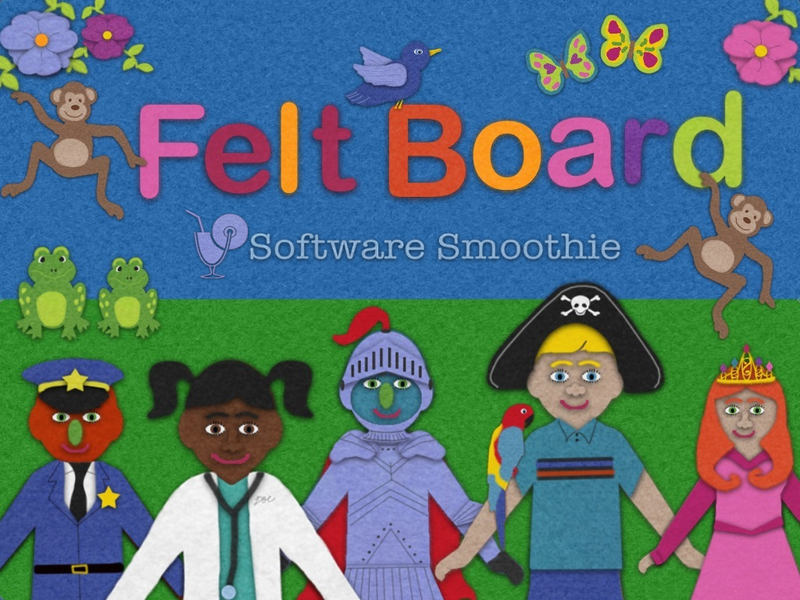 Felt Board is a new app by Software Smoothie, a husband-wife software design team focus on making innovative apps for kids. There are about a zillion combination of backgrounds, animals, weather, outfits, etc. The app is designed very much like an actual felt board. It costs $3, and you could make a whole mess of great felt boards without a single scrap of felt! it’s amazing! 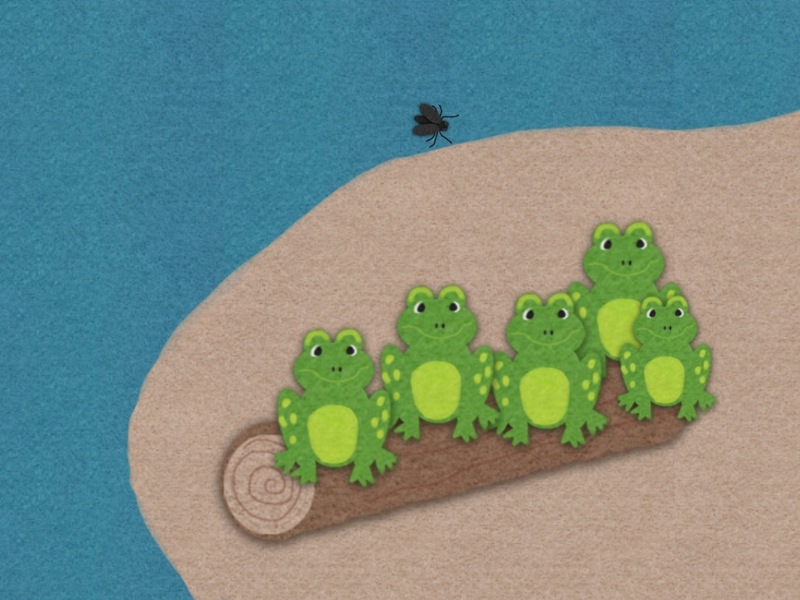 I made this 5 Speckled Frogs in about a minute. 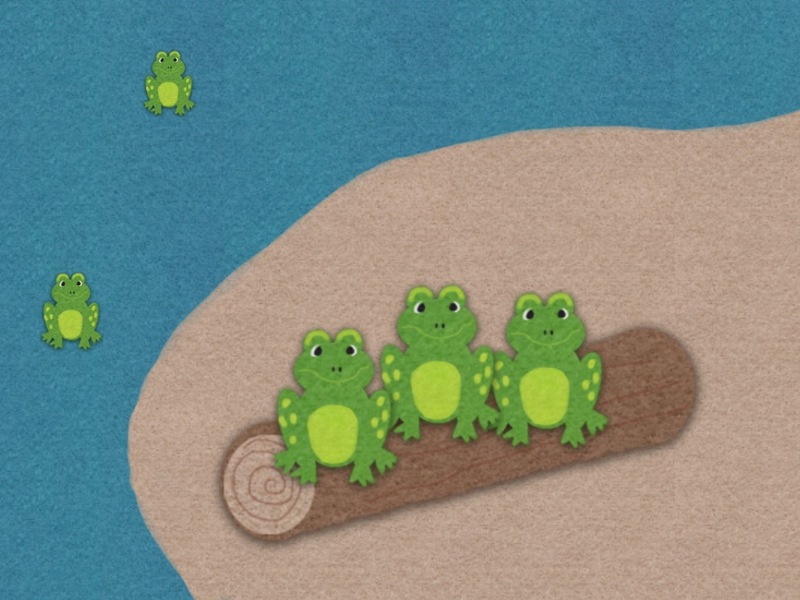 5 Green Speckled Frogs thrown together in about a minute using Feltboard by Software smoothie! But that’s just the beginning. The sky’s the limit with this brilliant app. It’s easy to use, and populated with all the building blocks to make ton of storytime standards/favorites. I am going to play around with this app quite a bit over the next few weeks! Linda is our hostess this week! Any chance this will be available in Android? according to the software smoothie website they are rolling out version for nook and kindle, so it might be android-friendly. but i guess i’ll have to get back to you on that one. We have released the app on the Amazon store and Google Play. I don’t have many devices to test on so if you have problems let me know. I couldn’t resist downloading this right away. It could be good for planning flannels. Shame it couldn’t be linked directly to a die cutter! Holy cow, Mindy, am I dreaming? We do plan to introduce a new Felt Board Storytime app in the future that is entirely for story time (each category on the side will be for specific stories so pieces will be all together. If you need suggestions or testers (ooo pick me!) I think I could probably hook you up. Anyway, keep in touch, as I am always looking for new, innovative ways to geek out. Thanks! I think you are awesome too 🙂 I am a former drama teacher, so I love story time too! I am also in contact with a few teachers who hope to use the iPad with a projector or smart board to use in the classroom. I think it’s all so fun and exciting and I’m thrilled with all of the enthusiasm on this site. Please send me an email about possibly testing for us in the future. Any chance you can get this for an IPod? I, too, would love to be a tester or a “suggester” but if it is only for IPad then I’d need to get an Ipad. 😉 LOL! Btw, GREAT idea for an app! I will be suggesting it to my storytime parents who have IPads. Hi! We could technically put Felt Board on an iPhone / iPod but it is so tiny that we were worried it would be frustrating to children. A new app that I hope to make next would be specifically for storytelling and the pieces would be pre-made. That kind of app could probably work on a smaller device. We are currently testing this version for Kindle and Nook and hope to submit there soon. Please feel free to email me with any suggestions and about possibly testing in the future. Thanks so much for your interest! Mindy, please let us know when the new app comes out. As you can see, lots of us are interested. I’m off to play with this app! I’m not so techie. How do you get your design onto the felt? You said you made the frogs in about a minute? I’m missing a step in here. Help. It looks like it could be fun! It’s all on the screen. it’s like a drawing app, but with (suprisingly life-like) pieces of felt. pretty amazing!